New Makeup for Beautiful Brows. Whether you have thin brows or bold brows have no fear; there are brow products designed just for you. This fall, there are two new brow products, in fact, that are designed specifically for different brow needs. If you have thin brows... try Benefit Gimme Brow Brow Volumizing Fiber Gel. This brush-on gel formula contains fibers that adheres to brow hairs and skin to create fuller brows and fill in where there were none. It is super easy to use as it brushes on with a tapered brush as it basically builds up brows. Better yet, the fiber gel is water resistant, so your new natural looking brows are long-lasting too. 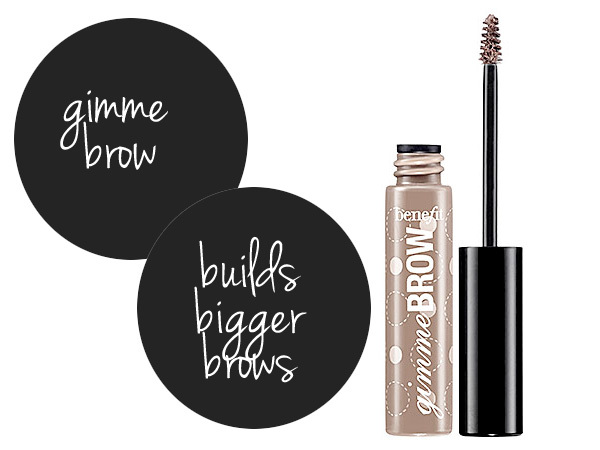 Gimme Brow sells for $22.00 at benefitcosmetics.com and Sephora. If you have thick brows... try Urban Decay Brow Box. This tool kit has everything you need to tame brows and keep them in place. There are two tiers to this handy box. The bottom tier contains mini tweezers to thin brows and pluck stray hairs and two mini angled brushes. It also contains a magnifying mirror to make sure you never miss a hair. The top tier contains two shades of brow color to perfectly match your brow color and a perfecting/setting wax to keep brows in place. The Brow Box sells for $29.00 at urbandecay.com and Sephora. Makeup Wars: My Fall Manicure.